Leaving our trusty portable home behind in the Derby caravan park we hit the Gibb River Road with our ultra portable home, AKA the tent.First stop the prison boab tree where police used to keep their prisoners in overnight when marching them from the bush to the Derby lockup.Next stop Tunnel Creek. 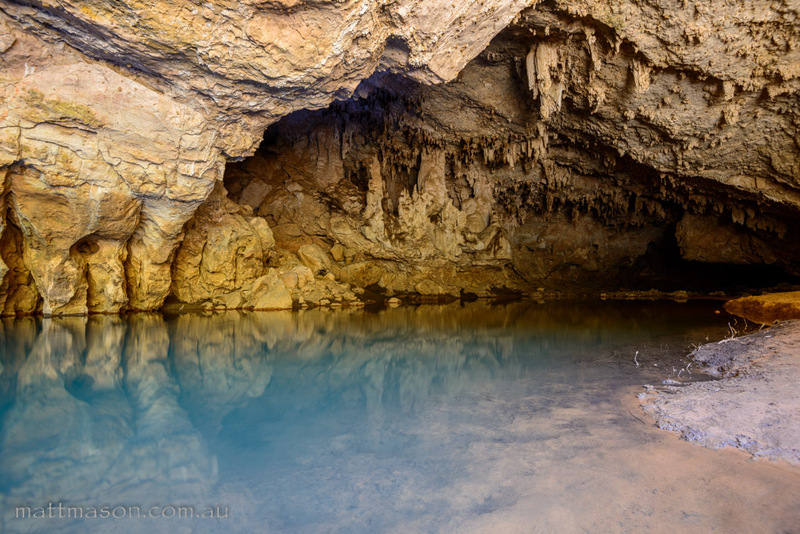 A cool underground tunnel cave carved out by millions of years of wet season waters flowing through. We navigate our way through the pitch black arguing over who gets the good head torch and who gets the dodgy one. The cave makes the perfect home for a few hundred bats. 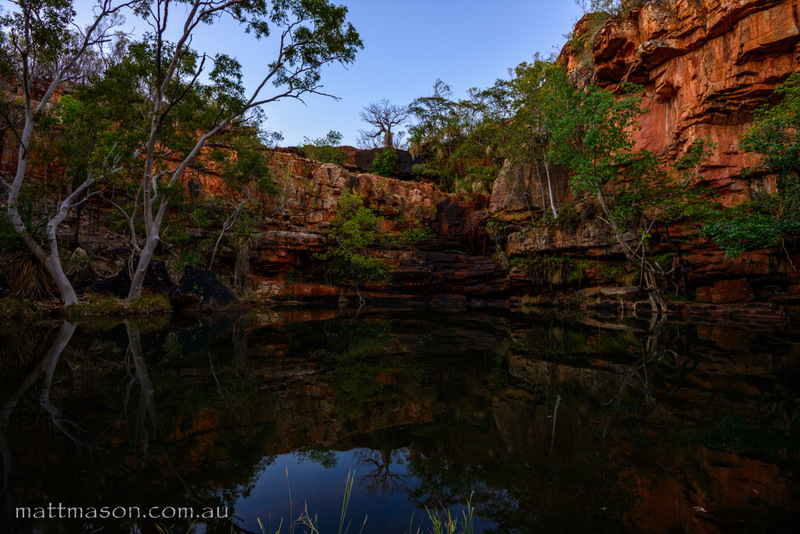 After searching a few bush tracks we find a beautiful camp site with nobody around for miles. It’s times like these we realise that although we love our caravan, we could easily trade it in for an off-road camper. 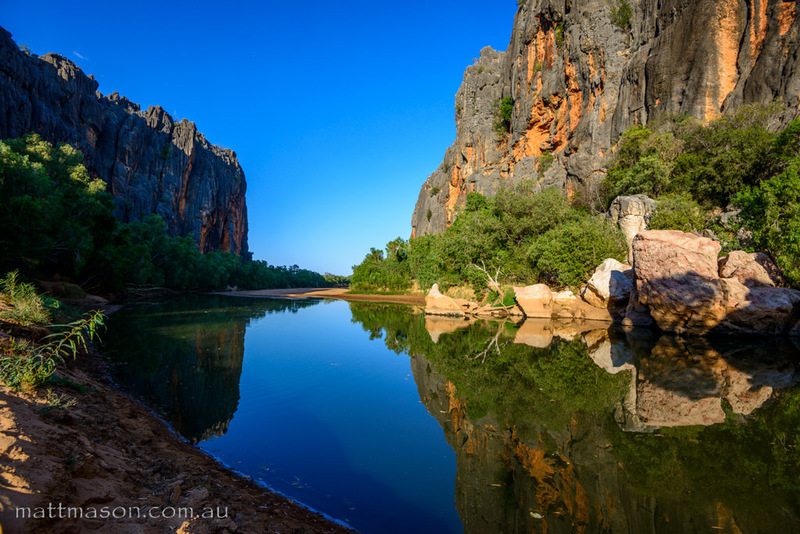 Windjana Gorge provides us with a magical morning hike. Unfortunately the doggies have to stay behind as I’m sure the locals wouldn’t hesitate gobbling them up. This late in the dry season there is always the chance bush fires and unfortunately some fires started the week before and are still burning. All of the gorges and camp grounds in the King Leopold Conservation Park are closed so we have to skip a lot of what we were looking forward to exploring. We trepidatiously make our way down the track to Adcock Gorge, watching the plumes of smoke bellow up behind the ridge. Feeling uneasy, but trusting our gut we push on. Molly is easily mistaken for a miniature mountain goat by the way she navigates her way up and over the rocky trail. Arriving at the gorge we are awe struck, firstly by the sight of this little oasis, secondly by the cheeky cheeks of an older couple just slipping in for a skinny dip. 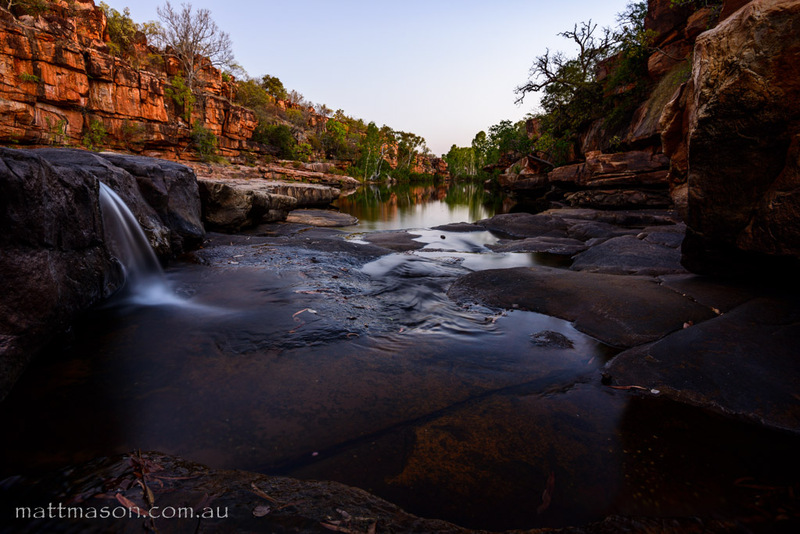 The Barnett River Gorge makes the perfect home for a couple of nights. Being over 40 degrees, hanging out with the dogs between the rock pools and trickling waterfalls is the perfect way to escape the heat. With not a soul nearby, the serene sounds and energy put us into a meditation without even trying. 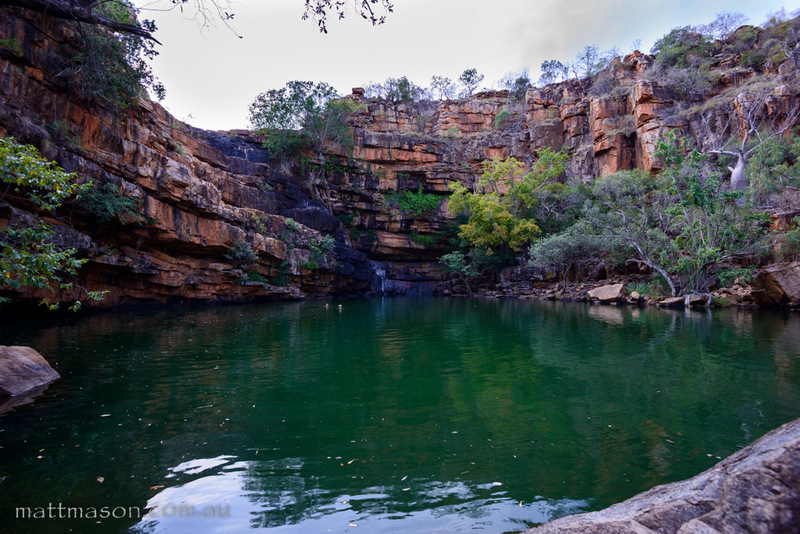 To top it off we spend a couple of days relaxing in the majestic Manning Gorge. Hiking to the falls, swimming laps of the 300m long water hole to chilling, reading a book or taking a nap on the white sandy beach. We would be no happier at five star resort. 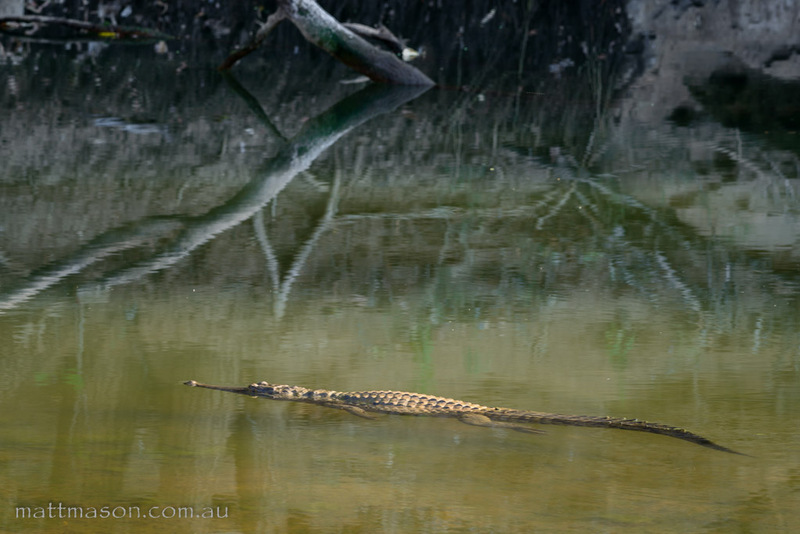 Galvans Gorge provides a blissful morning meditating with the cheerful birds, sunning water monitor lizards and bubbling water. Another night spent with some cows and brolgas in the middle of nowhere wraps up our spell on the Gibb. Talks of camper trailers and returning here after the wet season when the water is really flowing dominate the drive home. Home, such a odd concept to us now. Home is where the heart is, and after travelling the world and discovering our true selves, our hearts have opened tremendously. We have bits of our hearts spread over this planet, and we now truly feel at home wherever we are. 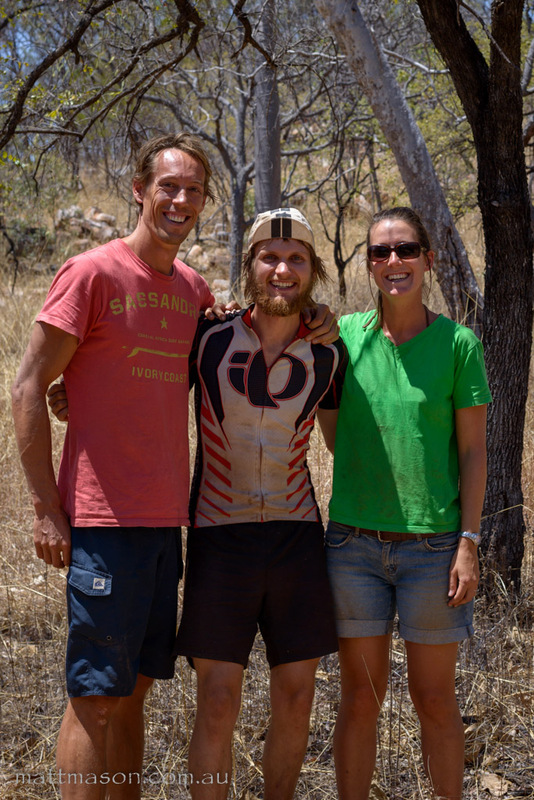 This entry was posted in Australia, Camping, Hiking and tagged camping, Gibb, gorge, home, The Kimberly. Bookmark the permalink. That was so lovely – my heart was totally “there” – especially with the exquisite pics. 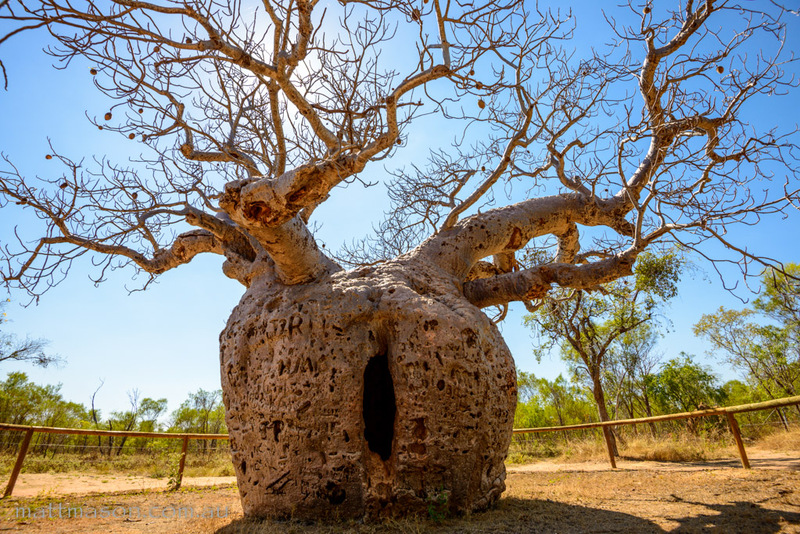 Boab tree is fantastic. You guys are certainly seizing the day and squeezing as much out of life as possible. Love that you now feel at home wherever you are. ……….guess your hearts just get bigger the more you leave around the planet??? Matt – pictures are totally awesome!! Watch out Steve Parish! I stumbled upon your post whilst looking at baobab trees and other natives I wanted to get tattooed. I know this post is really quite old and it’s very unlikely you check it more than a couple of times a year. 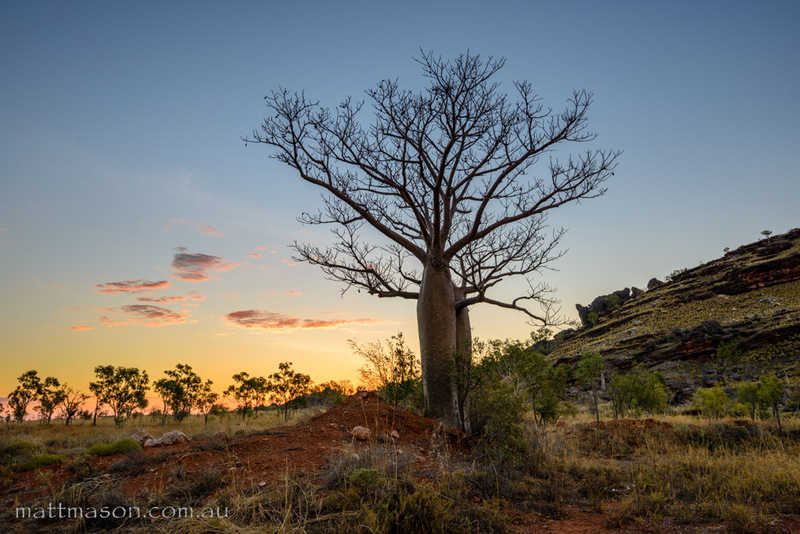 But I just wanted to say that it was wonderful reading about your journey and seeing pictures of the top end that, sadly, is often overlooked as a spot of breathtaking beauty! I’ve managed to make my way all around Australia except for NT. 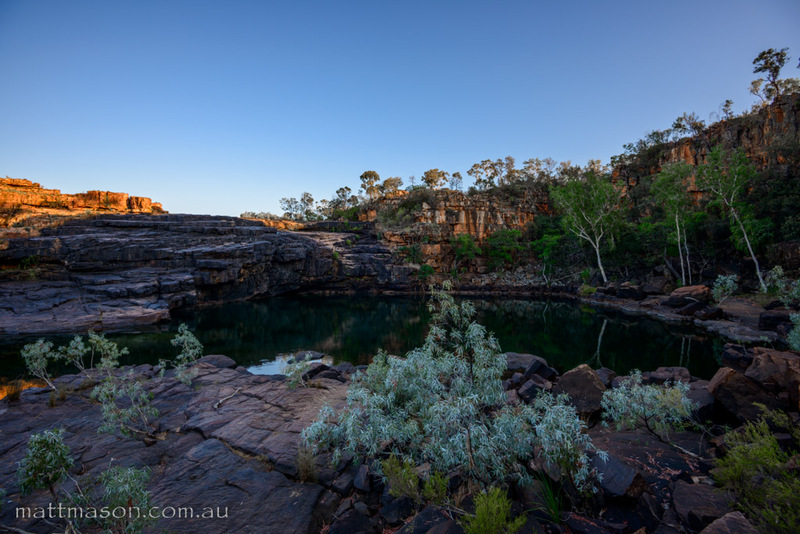 The Kimberley’s and further south down to, the devil marbles etc. Is my next trip and I can’t wait. Thank you for providing such high quality pictures that allowed extreme zoom. It’s hard to find.